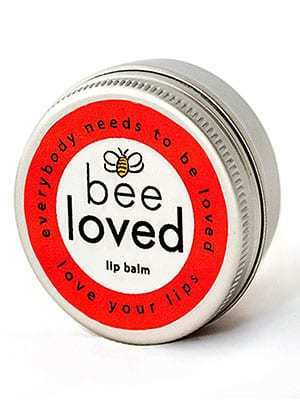 Bee Loved Lip Balm creates a long lasting, lip-smacking protective barrier for your lips. Brimming with beeswax from happy bees, this rich balm moistens and heals dry or cracked lips. You can even use it under your lipstick. It’s the perfect little pot of natural love for your lips. You can even use it under your lipstick. It’s the perfect little pot of natural love for your lips. Bee Loved natural skin care products are as pure as nature intended. Made right here on the west coast of Ireland, our skin care range for women, men and baby are completely free of parabens, lanolin, phthalates, artificial perfumes, petrochemicals, colorants and all other nasty nano ingredients. Bee Loved skin care products are made with love from Mother Nature, bringing you the very best that nature has to offer your skin – because we believe that every body needs to bee loved.